Hello Dolly star Bette Midler will now be having a new downstairs neighbor with the recent sale ($19 Million) of residence 14L at 1125 Fifth which is reported to be located downstairs from Bette Midler's apartment. According to Stribling's most recent Manhattan Market Report, the average price for a 4+ bedroom co-op was $5,939,716. The sale of 14L at 1125 Fifth is more than triple the city-wide co-op average. The corner living room has picture windows that provide a glorious triptych of Central Park to the west, endless views to the north to George Washington Bridge and beyond, and a wood burning fireplace. Next to the living room is the grand and beautifully proportioned formal dining room which enjoys beautiful western light. The wood-paneled library, accessible from the gallery or the living room, is sophisticated, warm, and boasts a wet bar. Adjacent to the dining room is a huge windowed eat-in kitchen - great for informal living and dining. A private hallway leads from the gallery to four generously proportioned north-facing bedrooms, each with en-suite windowed bathrooms. At the far end of the residence is the large master suite with a fireplace, walk-in closets, dressing room and a large bathroom with separate tub and shower. There is also a fifth bedroom/staff room as well as a spacious laundry room. 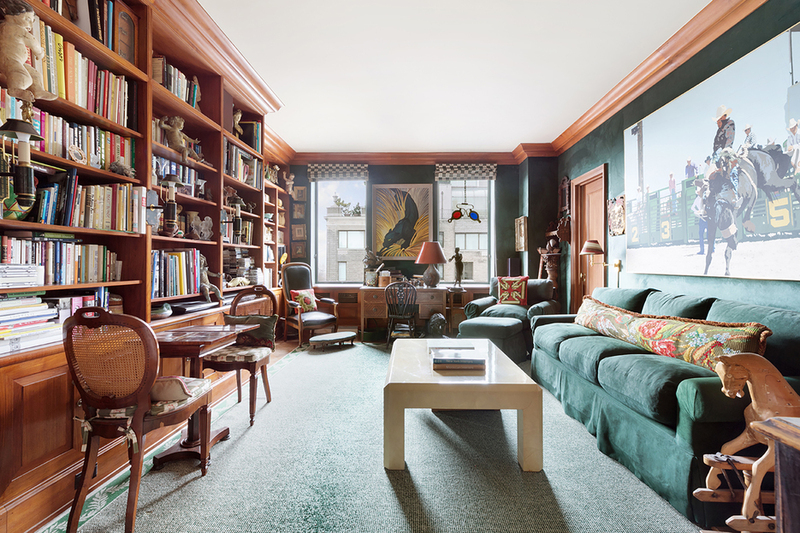 1125 Fifth is a prestigious full-service prewar co-op in the heart of Manhattan's desirable Carnegie Hill neighborhood. This is a rare opportunity to own an extraordinary home in one of New York's most sought-after buildings. Bahar Tavakolian and Ido Friedman of Stribling Associates were the listing agents.